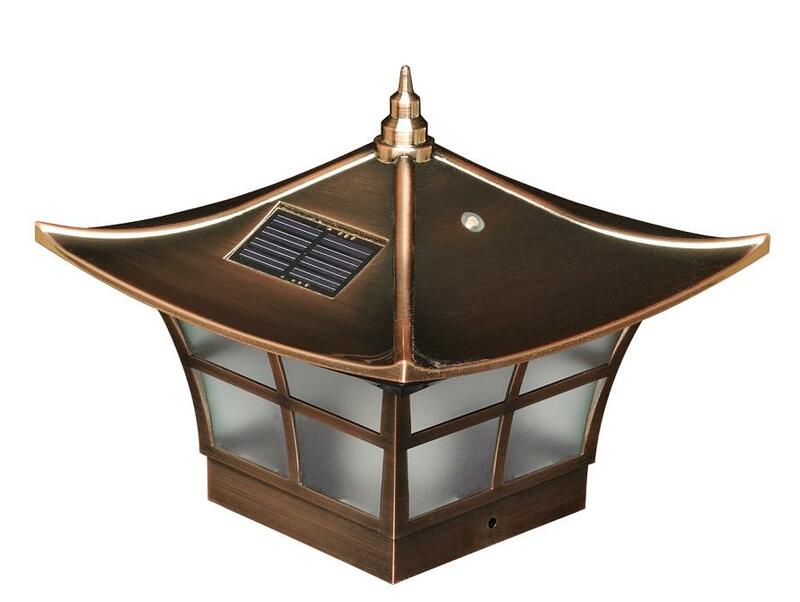 Attractively designed in a Japanese garden style, these copper Ambience solar post cap lights will add style to your deck, patio or porch. Each solar post cap light is equipped with 2 amber LEDs that give the effect of a real candle, giving your patio a warm glow at night. These high performance solar post cap lights- stays lit for up to 12 hours and will light up automatically every night/ auto -off switch. 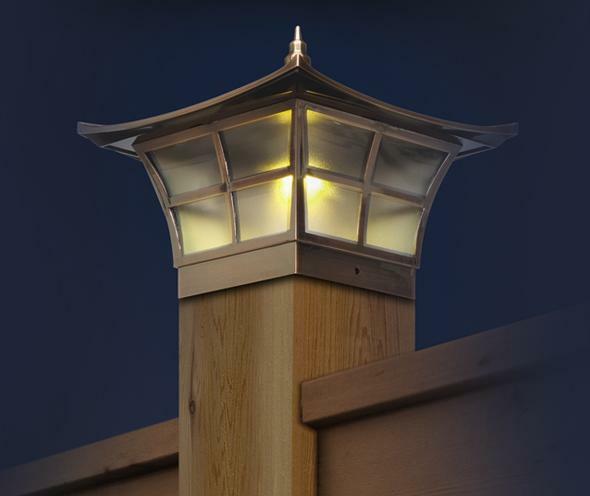 These solar post cap lights will fit over an actual 4"X4" PVC Or Nominal 4"X4" Wood Post (3.5"X3.5" Adapter Included).